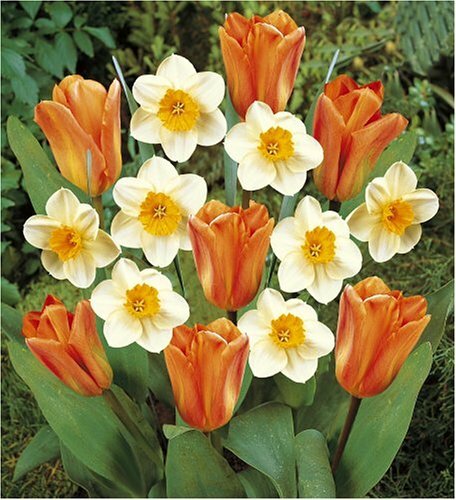 Guaranteed to grow; 8 Mount Tacoma + 7 Angelique tulips size 11/12 cm. Planting time: September through December (see planting time map) Flowers bloom: Mid spring - Tulip Princess Irene height 16-18"; Narcissi Barrett Browning height 14-16"
Guaranteed to grow; 15 Princess Irene tulips size 11/12 cm. + 5 Barrett Browning narcissi size 12/14 sp. 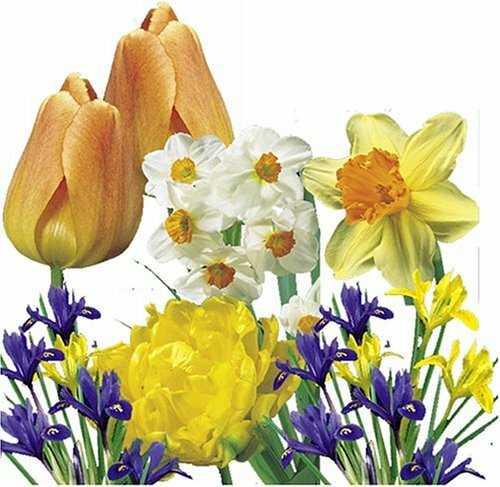 Guarantee an explosion of spring color with this assorted collection of bulbs from the Bulbs & Flowers International Group. 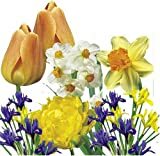 The collection includes 197 perennial bulbs imported from England and Holland, including 50 Recreado tulips, 50 Upstar tulips, 50 Yellow Trumpet daffodils, 20 crocuses, 15 Muscari (grape hyacinth), and 12 mini-mix Narcissus daffodil bulbs. 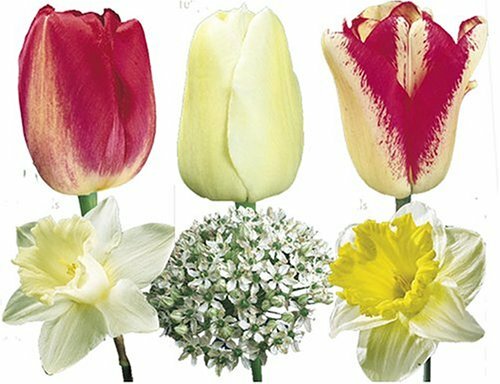 All bulbs have a cold hardiness rating for USDA zones 3 to 8.The tulips will grow up to 18 to 20 inches tall; daffodils 16 to 18 inches; crocuses 4 to 5 inches; and Narcissus 6 to 12 inches. For best results, consult a gardening guide or the packaging for each variety's planting depth and spacing requirements. 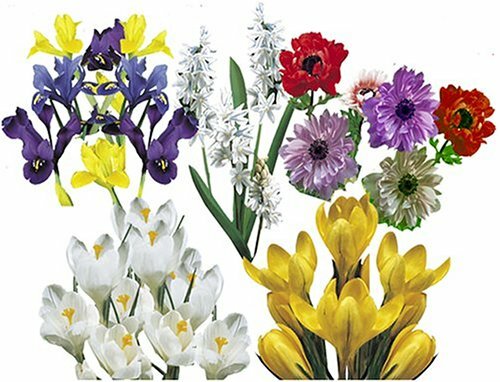 50 Recreado tulip bulbs; 50 Upstar tulip bulbs; 50 daffodil bulbs; 20 crocus bulbs; 12 Muscari bulbs; 12 mini-mix Narcissus bulbs. To get your bulbs snugly bedded in the ground for the long winter, just follow the four illustrated planting steps below. 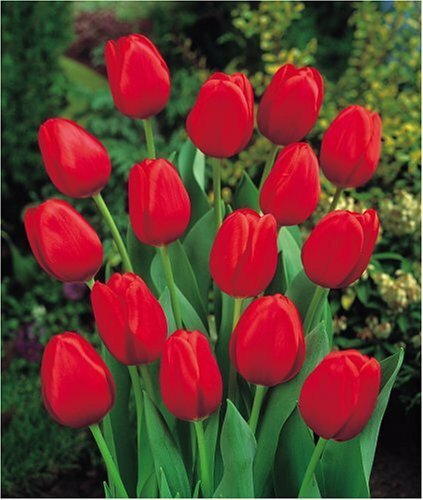 Plant your tulips at a 4- to 6-inch depth with 4- to 6-inch spacing between each bulb. 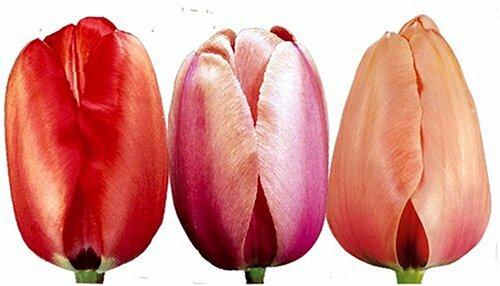 Though planting in partial shade will enable a longer flowering period, tulips grow best in full sun in well-prepared soil with fast drainage. Avoid planting where water collects, or in locations that are prone to late frosts. 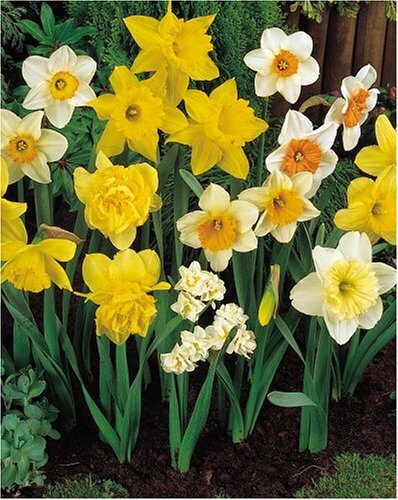 Generally, daffodils should be planted September through December in areas that receive full sun to light shade. 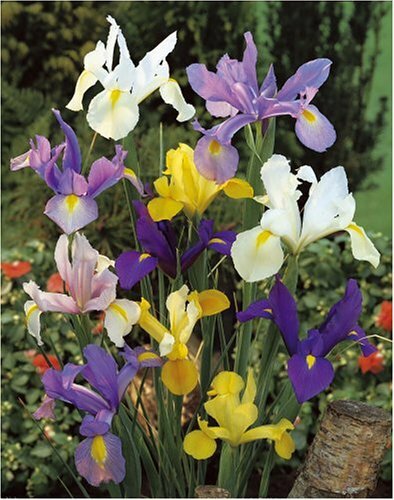 Plant them 4 to 6 inches deep with 4- to 6-inch spacing between bulbs. 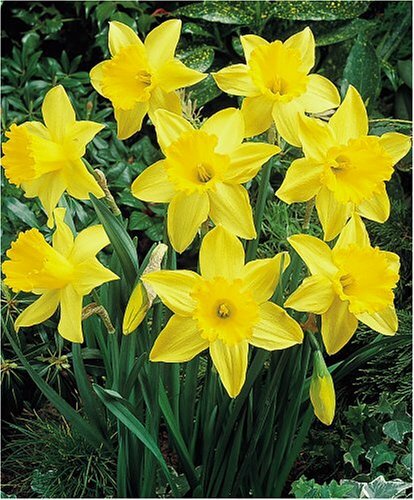 For best results, fertilize daffodils lightly before they bloom, and let foliage wither after blooming. Plant them 2 to 3 inches deep with 3- to 4-inch spacing between bulbs. 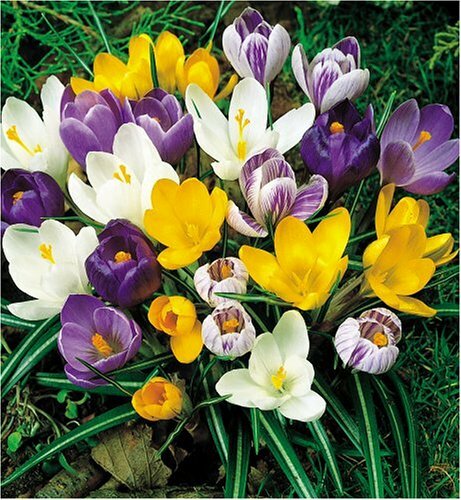 Plant crocus August through September in well-drained soil. They are most impressive when planted en masse. 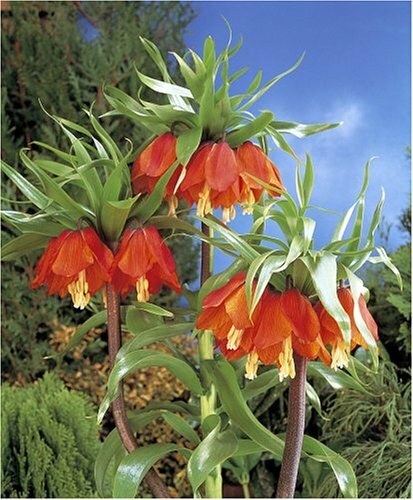 They perennialize easily in areas with cool winters. 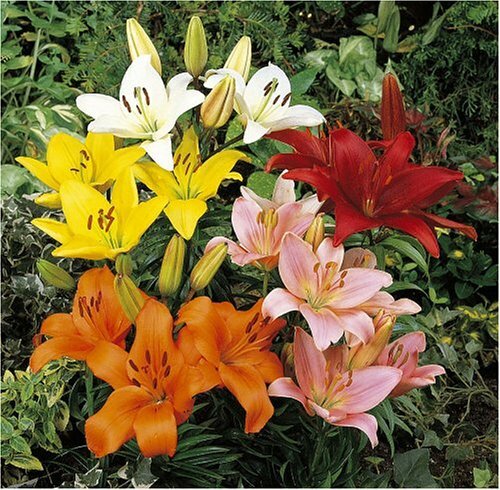 It's best to fertilize lightly before they bloom, and let foliage wither after blooming. 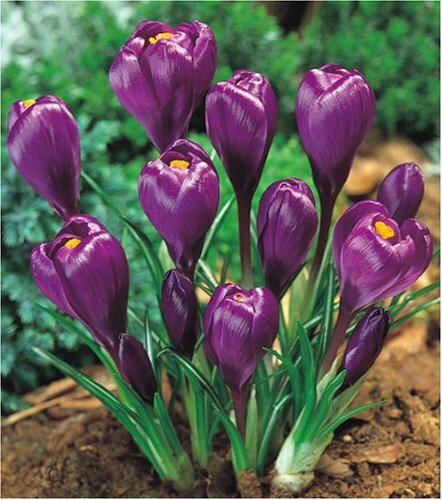 Plant them 2 to 3 inches deep with 3- to 4-inch spacing between bulbs. 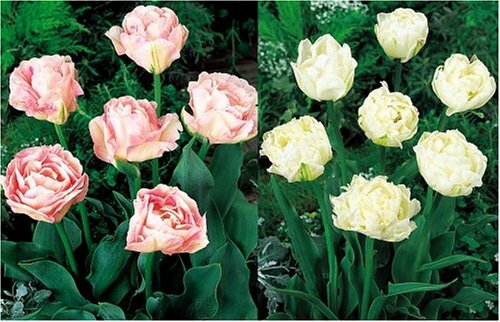 Guaranteed to grow; 20 bulbs size 7/8 cm. 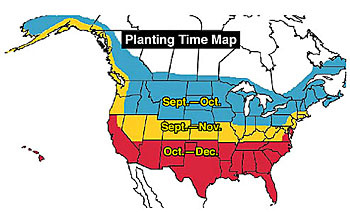 Planting time: October through December. Flowers bloom: Mid spring. 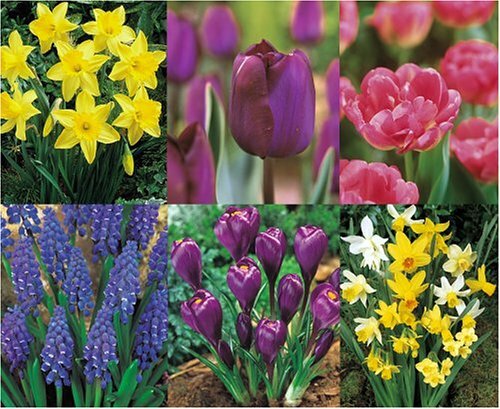 Planting time: September through December (see planting time map) Flowers bloom: Early to mid-spring - Tulip Orange Emperor 14 to 16" height; Narcissi Fortissimo 16" to 18" height; Hyacinth City of Haarlem height 8 to 10"
Guaranteed to grow; 5 Orange Emperor tulips size 11/12 cm. + 4 Forissimo narcissi size 12/14 sp. 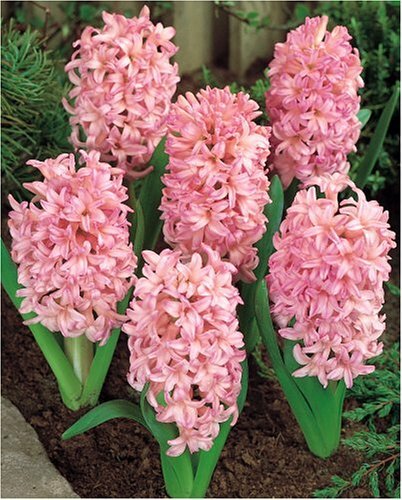 + 3 City of Haarlem hyacinths size 14/15 cm. 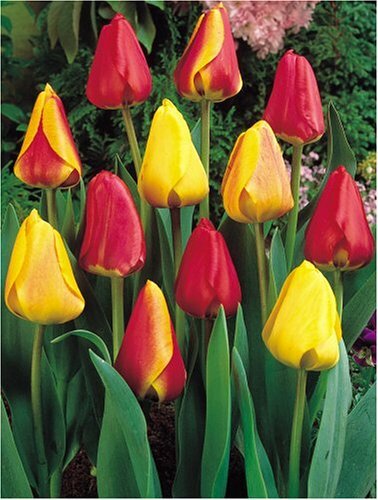 Guaranteed to grow; 1 bulb size 20/24 cm. 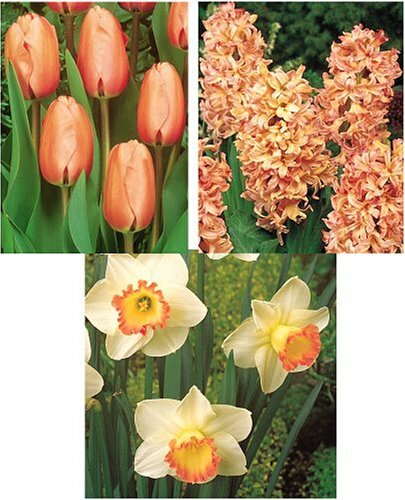 Planting time: September through December (see planting time map) Flowers bloom: Mid spring - Tulip Apricot Beauty height 16 to 18; Hyacinth Gypsy Queen height 8 to 10"; Narcissi Salome height 16" to 18"
Guaranteed to grow; 5 Apricot Beauty tulips size 11/12 cm. + 4 Salome narcissi size 12/14 sp. 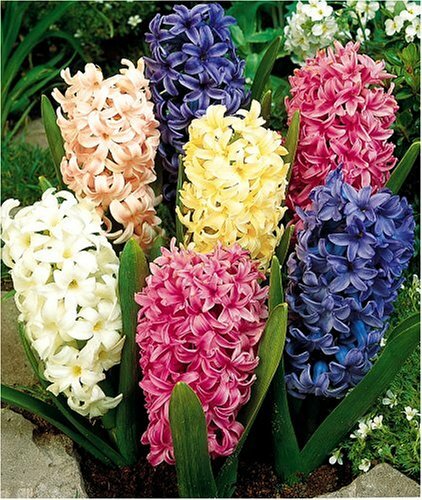 + 3 Gipsy Queen hyacinths 14/15 cm. 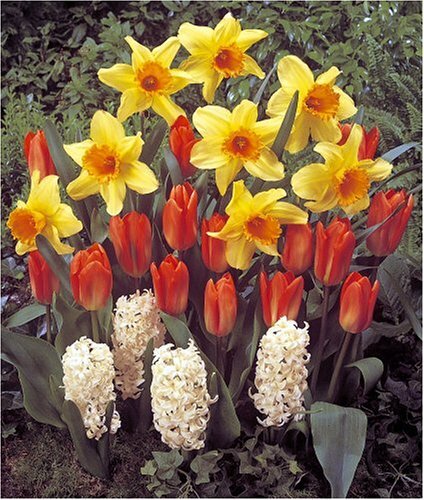 Guaranteed to grow; 7 bulbs size 14/15 cm.